Last edited by AnimalHippie; 12-19-2018 at 05:49 AM. 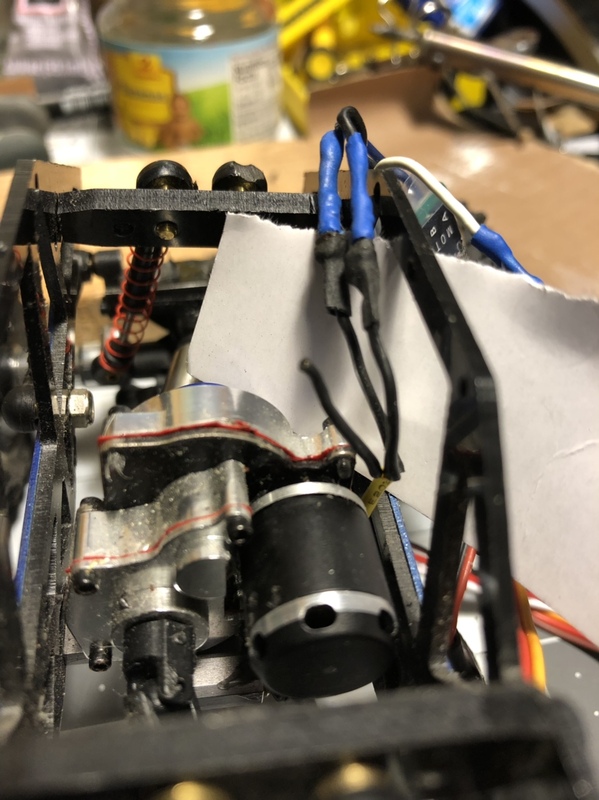 I haven't messed with brushless motors in some time but pretty sure that's why it was jerky, calibration may have a little to do with it but pretty sure if you connect that wire back up it'll be much smoother. Looks like your having fun! The little truck you're working on now is one I bought in a bundle, but never had it running. 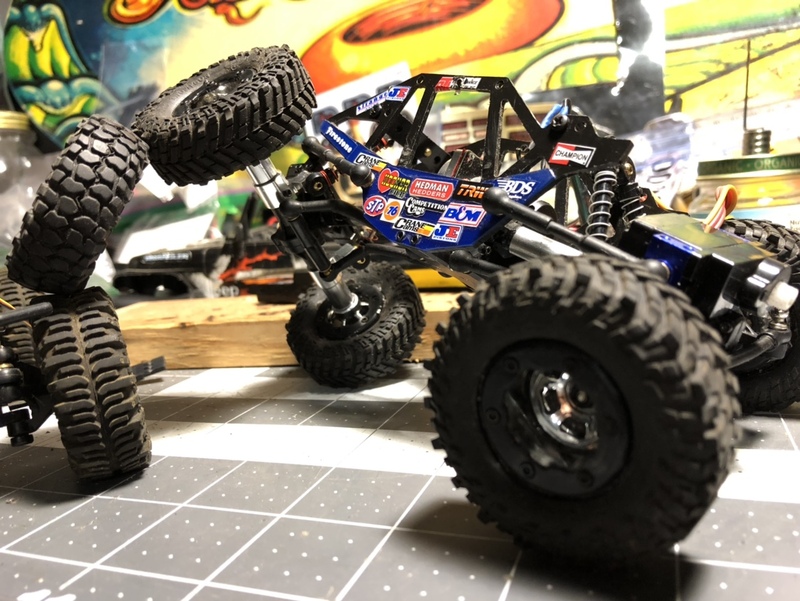 The motor in the black truck is a custom wind motor and should be a good smooth crawling motor. If you noticed, some of the tire wheels are weighted with BBs and some aren't. 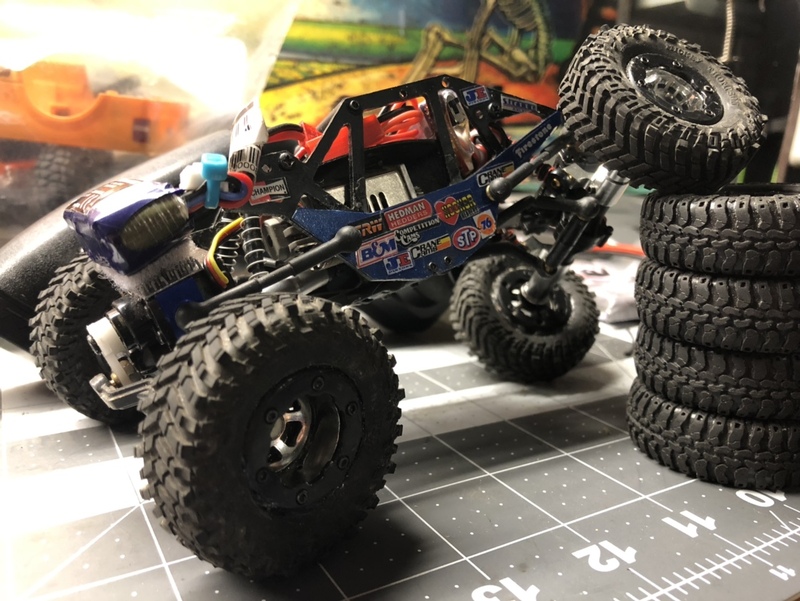 Still looking for more shocks! Just a few tidbits for ya! Well this little guy is still fighting me. Pulled the electronics out of it. Found another wire that the solder joint came loose. Resoldered it and got the motor to work. Put it back in the rig powered everything up and 2nd pull of the trigger the plastic pinion gear came off the motor shaft . Kinda aggravating, but that's life. Did some research on this little motor and after translating the web page. I found that it's a helicopter/drone motor and doesn't like much of a load. Hoping I can make it work out, but idk. Might have to look into other brushless micro motors or go brushed. I think I'm gonna put these little guys on the back burner for a few till I can gather up a few things for them. I don't like stuff to sit so I'm sure it won't be long till these guys are back on the bench. Ok started looking back into working on these little guys. For the micro T I'm looking at this ESC https://www.gearbest.com/multi-rotor...pp_180563.html and using my tactic 200 RX/TX. Also a set of losi micro crawler shocks. Around $25 should get it going. 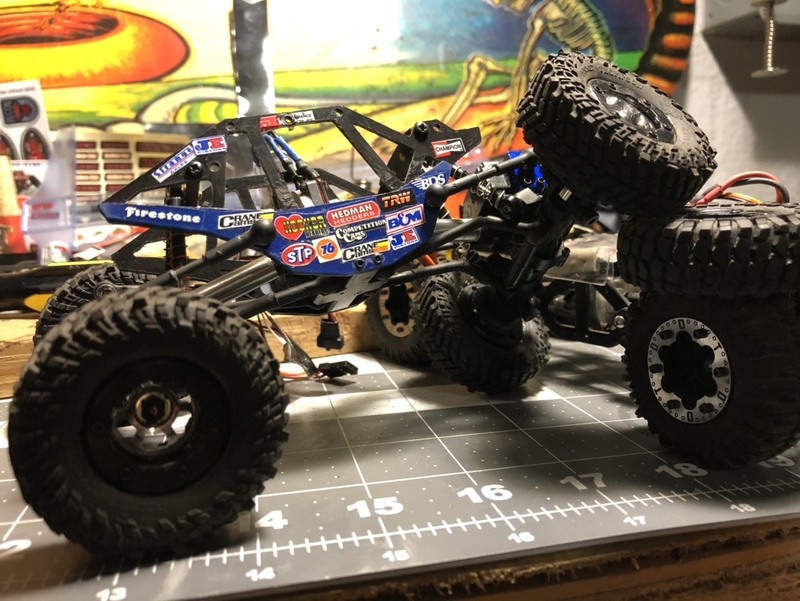 The micro crawler I'm not sure my plan yet. Have found a place in Europe somewhere that makes any gear you could want for my pinion gear. Only issue I have is I'm not sure if it will even fit. 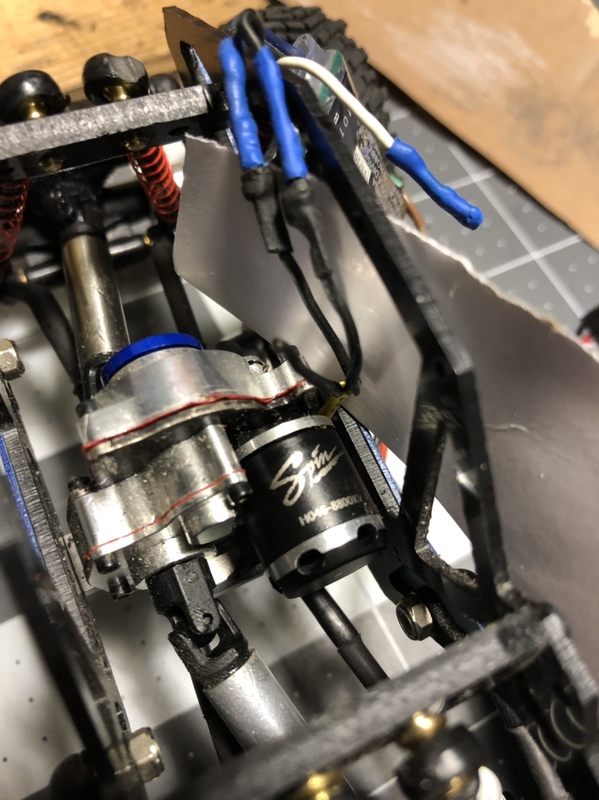 Guess I could do some custom work to the motor plate. That's what I have been hunting for since you gaveme advice in the other thread. I found this one https://www.megasmicros.com/product_...b-10t-0p3m.htm and also found https://www.aliexpress.com/item/-/32610226085.html the second one is a lot with 8t,9t,10t,11t. Since this is a crawler and I'm trying to gear it low I'll probably just buy the single 10t for now and see how it works out. 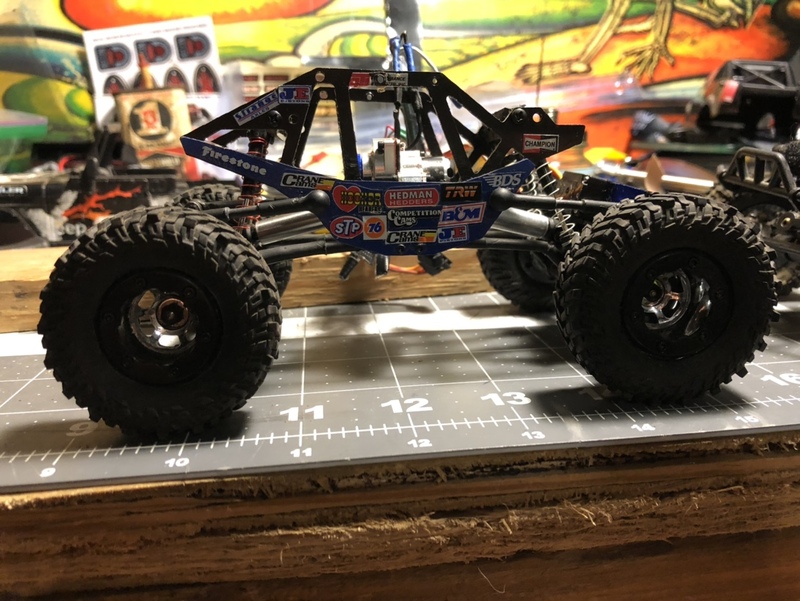 I put the one out of my servo on it, but couldn't get the gear close enough to the spur before the motor hit the trany case. Hoping these ones will be a little bigger. The description doesn't say the width of the gear. Being a outrunner the motor can't touch. 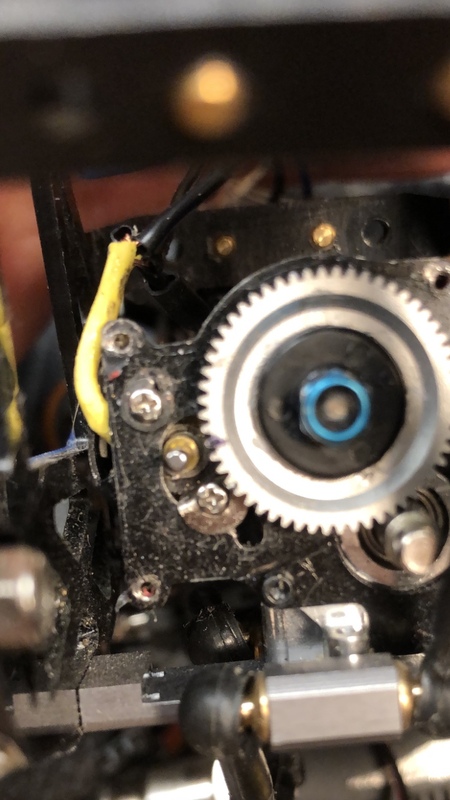 Notched the motor slots and found out that motor touched the trany case before gear was close enough. Hey Justin, I found a box with a few more Micro parts with some shocks for you. I will put together a care package later and send it your way. You're amazing brother! Thank you!!! I've been getting an order together to get these guys going. Just waiting on uncle Sam to send me a check. Can't wait for your parts to show up! Alright, finally got my parts I ordered from China! 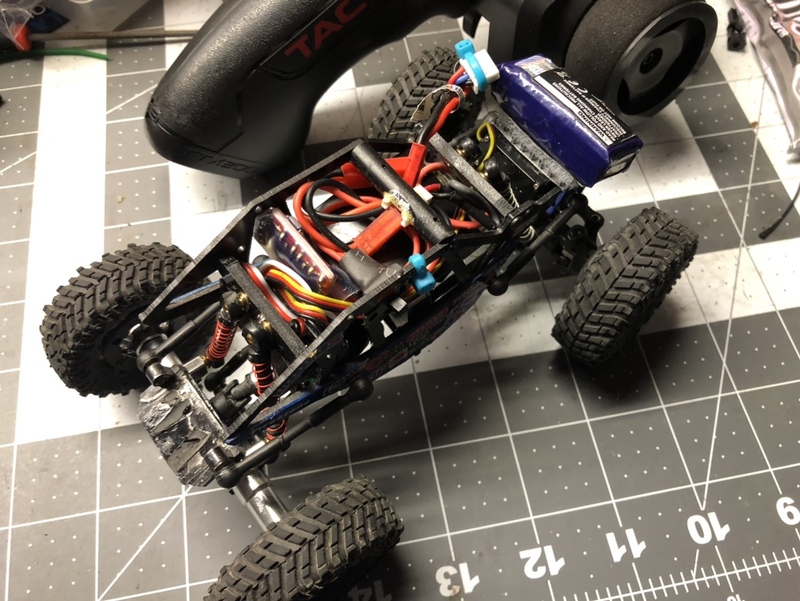 I went ahead and pulled the brushed motor and trans out of the trekker and installed it in the comp crawler. 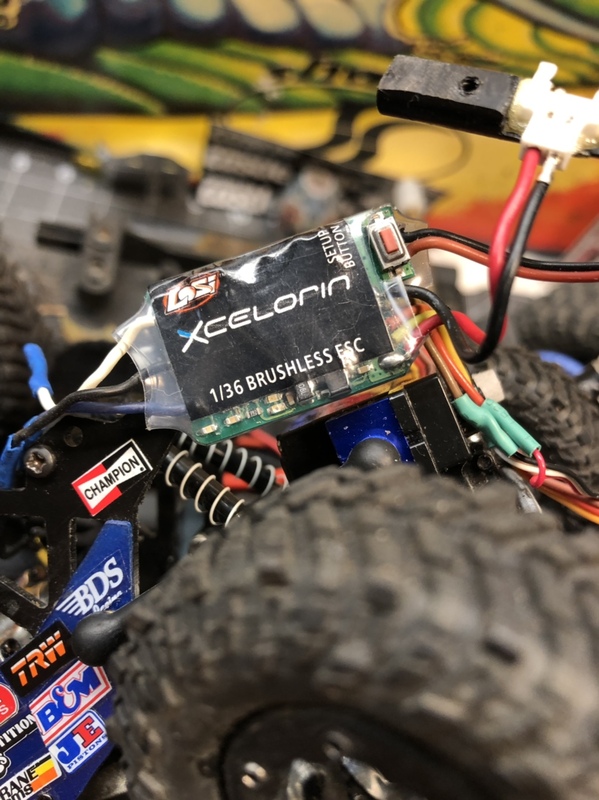 Installed the micro brushed ESC I picked up from AliExpress. Decased a tactic 3ch rx. Also put the hitec servo from the trekker on it as well. IT MOVES!!!! I'm so extremely stoked! Now just have to figure out where to put the battery, ESC & Rx where the wires and everything will be out of harms way. Probably going to make a electronics tray out of some thin plastic or aluminum sheet. I will post some pics once I get everything sorted out. Going to try to get it on the rocks this evening at some point. Shot a unboxing/install video that I have to do some editing on before I can post it. I'll post that link as well once it's done. Still needs a little work, but it runs great! Everything packed in nice and tight. No room for anything else. Made a electronics tray from some plastic from the oil jugs I used to make inner fenders on my Trx-4. Worked out great! 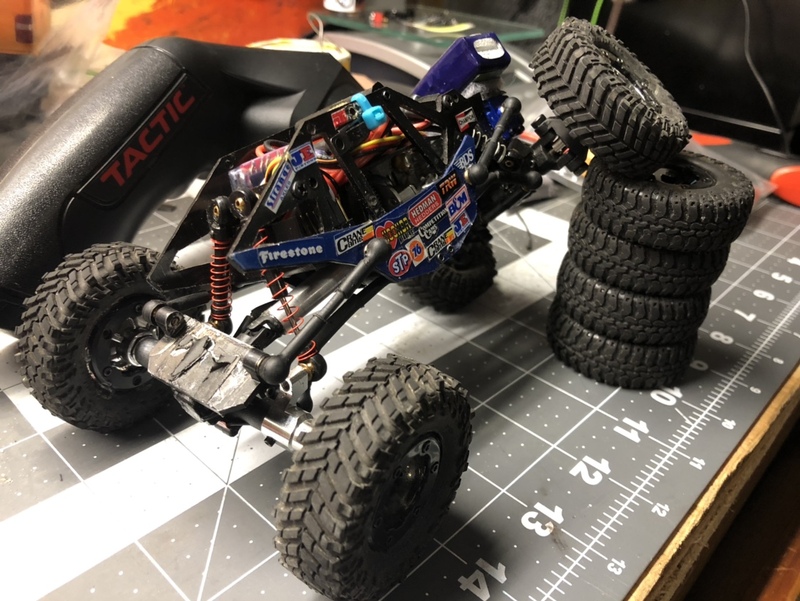 Driveshaft in the rear rubs the motor in one spot and need to shorten the center pieces of the driveshafts a little too get full flex on both sides. I'll get that done soon. Really like running this little guy. So glad that it's up and running. Now time to get a list for the trekker. Gonna get some crawl video of it sometime this week. Thank you again Ernie!!! The girls are loving running this little guy. They also send their love and hugs! Joss says she likes it better then the 1:10 rigs cause " it's so cute!" Lmao! Last edited by AnimalHippie; 04-15-2019 at 11:50 AM. Good to see you got one of them up and running!!! Tell Joss We would like to see some pics of her and her sister!